Sic Bo may be a game of chance, but it’s even better when you can produce winning opportunities for yourself with these simple strategies. Besides Mahjong, Sic bo (骰寶), also commonly named tai sai (大細), dai siu (大小), big and small or hi-lo, is another famous game from Asia. It was a game originally designed in China, way back in an ancient period when things like casinos and gaming didn’t even exist. Although the game is quite popularly played in most parts of Macau, it also has a significant presence in the United States and the other parts of the world, thanks to the extensive coverage of online casinos. 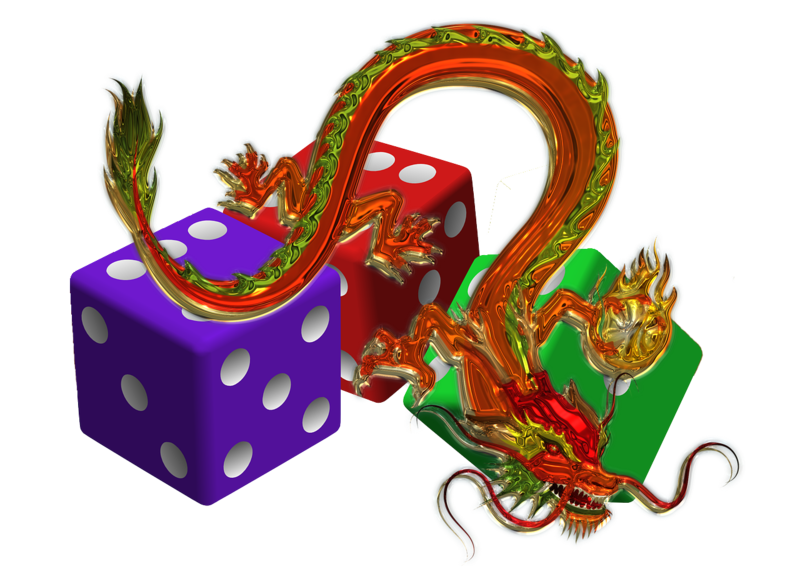 The most basic form of this 3-dice game is based on the concept of number combinations formed by outcome of the rolled dice. Maximum that you can win from this game is when you hit exactly three same numbers on the dices. Even though this sounds like pure-luck, there are a few strategies that one can employ to improve the chances to win at Sic Bo. Anything that you wager on a result totaling a number between 4 and 10 is deemed as small bet, while the same result between 11 and 17 is considered as big bet. This strategy works in your favor more often than not, unless same numbers appear on the dice. Use this in combination with the Paroli strategy, and you are good enough to maximize your winnings. This strategy is known to work at least one time out of seven, and since you are simply wagering on two specific numbers, there’s not much risk involved. This is a medium-risk strategy with high returns. Instead of going for big or small bets, you can place the stake on more than one combination. Say for an example, if you choose to bet on a triple 3, you also have an option to bet on a combined result of anywhere between 4 and 10.The payout rates you get with such kind of multiple bets is always on the higher side. It allows you to cover the loss of one by the win of the other. Sounds too risky? Yes, it is. Targeting a specific number is pure gamble, but in case you the hit the winning line, you win big. The payout can be even more exciting if you combine the bet with a double. However, this is only applicable to players who have sufficient bankroll to cater such a high-risk affair. You may end up losing all your hands in succession, or hit the jackpot within few sessions. While this thing is totally based on chance, someone with high finances can take the risk, worth the payout ratio offered by the same. If you are playing with the bonus amount, make sure to read the play through requirements before wagering the money. Sic Bo is purely a game of chance, and there is no full-proof betting method that will allow you to master any concept behind this Chinese antique. As a piece of advice, one should always start small, and increase their stakes, once they have enough funds to roll. Remember that a game like this should be played for fun, rather than trying to go bankrupt with too much desperation.